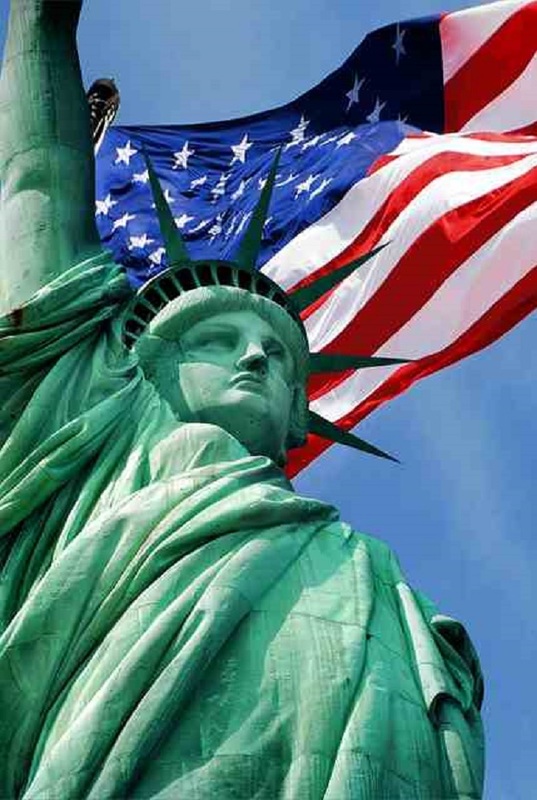 The hallmark of New York city is the Statue of Liberty, which dominates the entrance of the harbor area and depicts the Liberty as a female, commanding figure holding a lit torch. 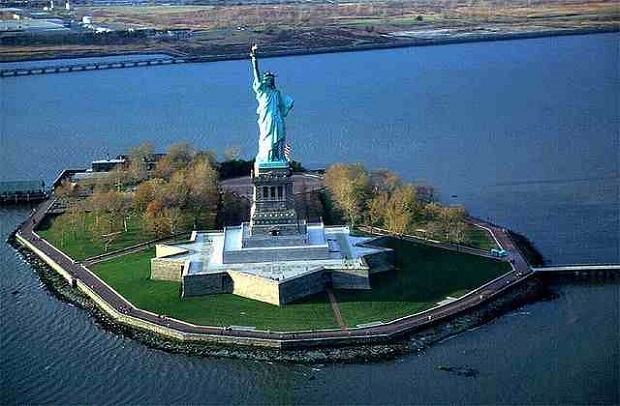 She was placed in the small island Liberty and has a height of 46.5 meters, which is doubled because of the delicate base. The statue weighs 225 tons and is covered by copper clad. The base hosts since 1972 the Immigration Museum. The idea of the ​​building belongs to the French historian Edouard de Lampoule, who proposed to build a monument that would commemorate the Franco-German friendship. 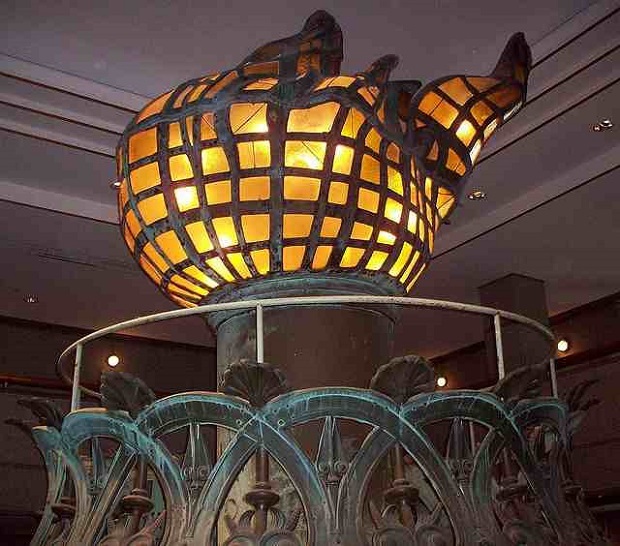 Inspired bust statue from the form of luminophores Apollo, while yhe base is based on historical reports on the construction of the Colossus of Rhodes. The skilled sculptor Frederic Bartholdi began construction in 1874 in Paris and the statistical structure was studied by Gustavo Eiffel. After completion, the U.S. Congress approved the placement of the concrete island to dominate and it is obvious to anyone who enters and exits the port of New York. The opening took place on 28 October 1886. View more about New York City here: New York is ready to celebrate Valentine’s Day in Times Square, Manhattan, Secrets of Grand Central Station | New York City. 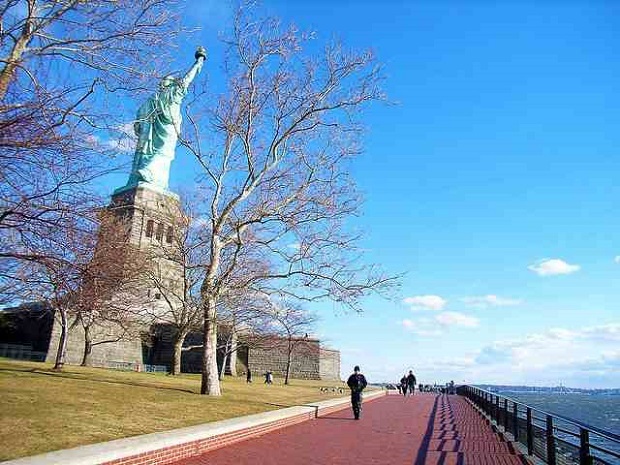 Statue of Liberty photos: Graham Currey, hitoshi, subjectivexperience, Bill.